Betsy is a Partner at Sassetti LLC, and brings over 22 years of experience to the firm. 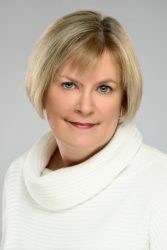 She began her accounting career at Arthur Andersen and after twenty-one years of operating Brennan & Brosnan LLC CPA’s with a co-partner, she merged the firm with Sassetti’s Naperville office on January 1, 2016 Betsy assists clients with tax related matters, provides budgeting and forecasting, advisory services, and compliance services to businesses, fiduciaries and individuals. Betsy graduated from the University of Notre Dame and holds a Bachelor of Science in Accounting and earned a Master of Science in Taxation from DePaul University. She is a member of the AICPA and ILCPAS. Betsy currently serves on the Board of Trustees and chairs the audit committee of the DuPage Foundation and is a member of the Grant Committee within the organization. Betsy is passionate about commitment to family and community involvement.